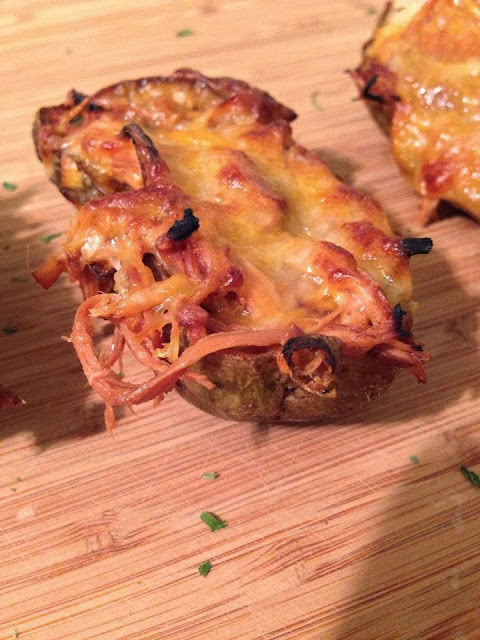 So, I hate to post similar recipes back-to-back, but I didn't use all of the potato skins yesterday, and if I can squeeze in another post before my week gets busier, I might as well! 1. Whisk together the first 4 ingredients in a bowl. Place chicken breasts in the crockpot, and cover with BBQ-beer mixture. Cook on high for 6 hours. 2. 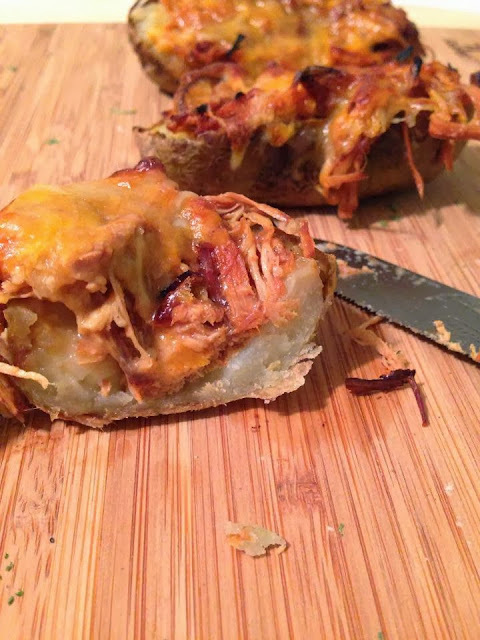 Bake your potatoes until soft inside. Let cool. When they become cool enough for you to handle, slice in half lengthwise, and scoop out the middle of each. Put the scooped-out potato in a bowl and mash with the sour cream, milk, and butter. Season with salt and pepper, and use mashed potatoes to fill the empty potato shells about halfway. 3. When the chicken has fully cooked, shred with two forks. It should fall apart. 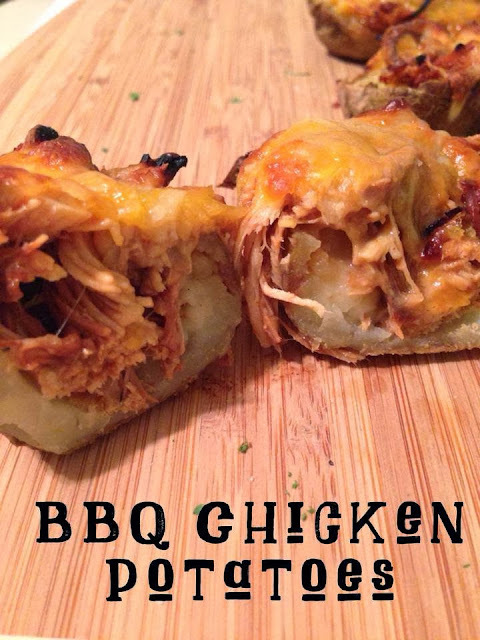 Pile the chicken on top of the potatoes and top with 1 oz. of shredded cheddar cheese. Bake in a 375-degree oven for 15-20 minutes, or until the cheese is bubbly. 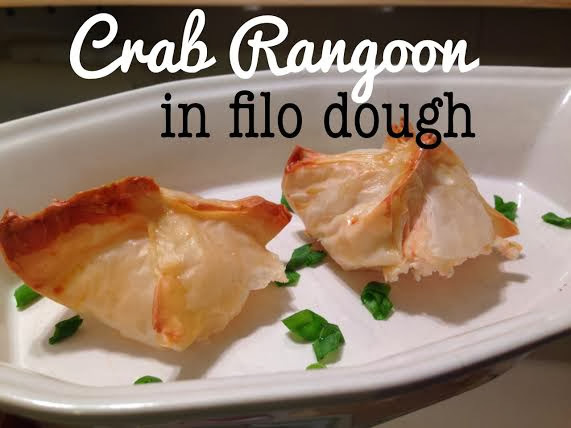 Optional: Serve with 8 ounces sour cream, 2 ounces chopped scallions, 1 tbsp. garlic powder blended together in food processor, if desired.